Aeropro's Smart Trainer/Zwift STAGES are designed for athletes who have 4-8 hours devoted to training. Monday thru Friday is setup so you can perform structured work on a trainer or outside. The weekends are devoted to longer rides or spirited group riding. Each STAGE equals 4 weeks of training focusing on key areas of cycling. 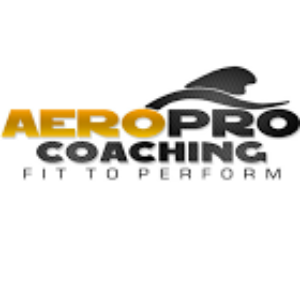 These workouts are part of Aeropro's Up Your Wattz performance programming. After 4 weeks you should perform one recovery week before starting a new STAGE. Our threshold builder program is focused on raising your FTP. Typically, you will complete 2-3 Stages in order to realize some serious gains in performance! 1) Power or Heart Rate or Trainer with Speed Tracking. Yes, we can set some speed zones up on a trainer. 1) Assigned Aeropro Coach to help answer questions. WU: (warm up)Start off with a solid warm up. If needed take more time or add in some dynamic stretching off the bike. High cadence efforts wake up the legs. Spin as high of an RPM as possible without bouncing. During the main set you will perform 3 sets of 15 minutes at hard tempo or sweet spot. This should be 88-93% of functional threshold power. You should TARGET a +/- 10 watt range. These efforts should feel just hard enough. There are a bunch of options if you use Zwift. Get out with a group that will push you to hold the range but do not over do it OR select Box Hill and knock it out with 3 x 15 minute segments. Make sure to spin your legs and recover HR during cool down period. Also, great time to sip on some recovery fluids.